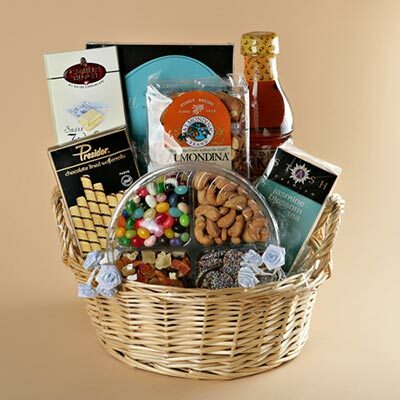 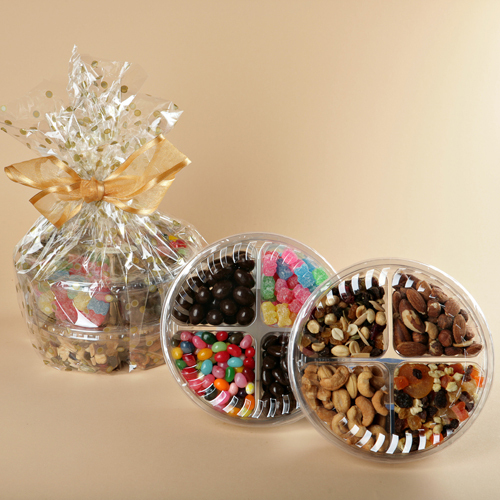 Choose from our delicious and beautiful gift platters for Shabbos! 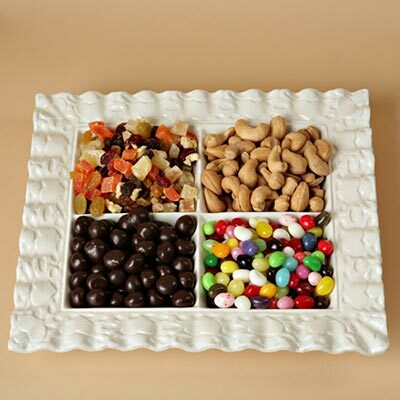 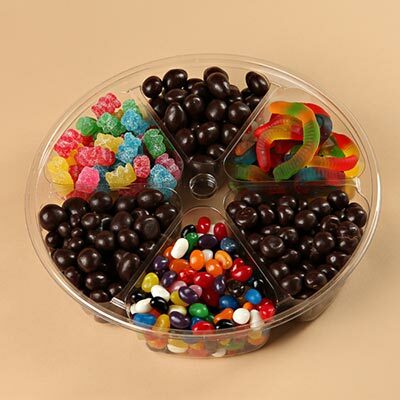 A beautiful ceramic gift platter with 4 sections, each filled with delicious treats - jelly beans, chocolate nuts and raisins, mixed fruit mix and roasted cashews. 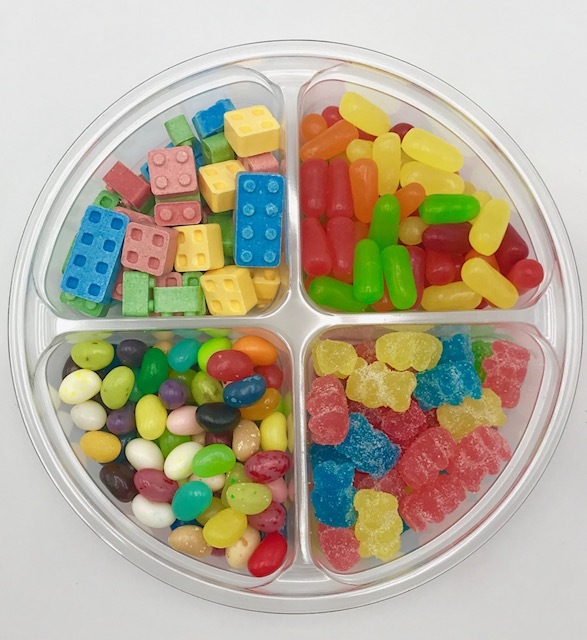 The dish makes a wonderful keepsake. 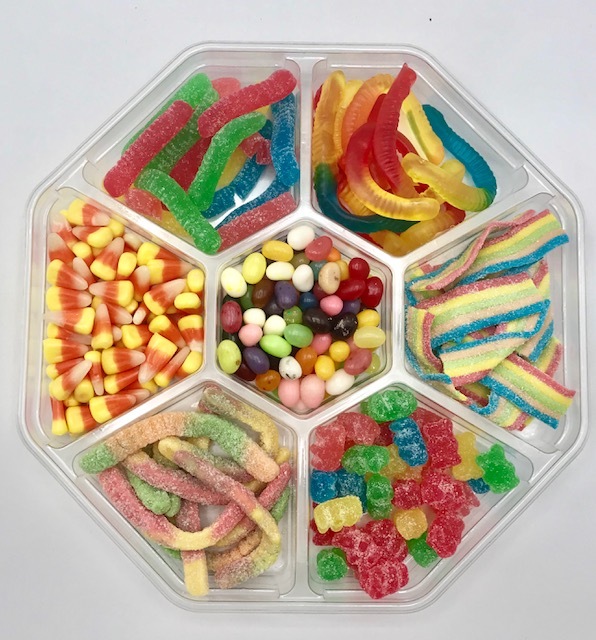 Patterns of the platter may vary. 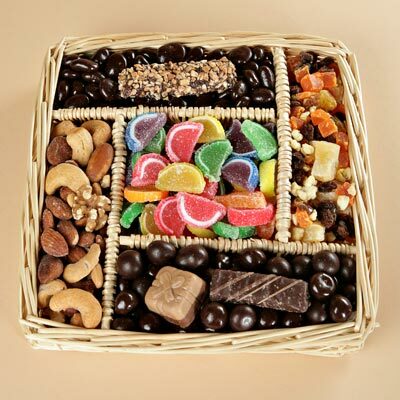 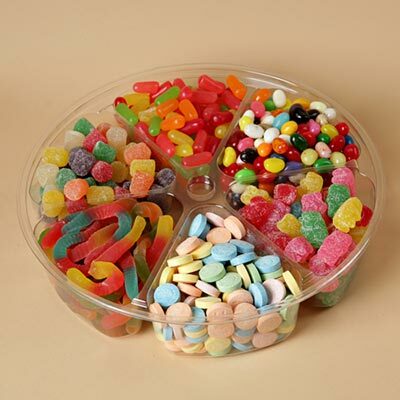 Favorite chocolates and candies for the sweets lover. 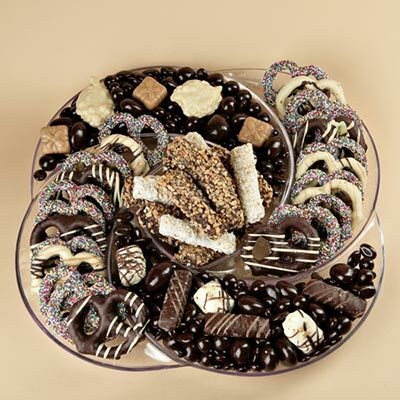 This platter will certainly be a great hit.